Europe is stuck. Stuck between a newly muscular, dystopian and uncompromising version of the American dream and Xi Jinping’s ‘Chinese dream’ for the ‘great rejuvenation of the Chinese nation’. Opposite approaches in terms of timelines, focus and planning yet common in single minded projection of possibility for their nations. With the US refocusing inwards and China still authoritarian, there must be an opportunity for Europe’s multi-lateral instinct to flourish rather than be squeezed. As time has passed since its original launch, the European vision has become sporadic and resonant only with limited elites, its institutions criticised for failing the democratic deficit test. Despite the nomenclature of Europe – Community, Union – the European project has always been a tense mix of differing national interests finding compromise and consensus where it can. Until now this compromise and pragmatism has largely been useful, a good thing, necessary, enough. But in the face of Brexit, populism, an ascendant far right, Catalan tensions in Spain, a troubled En Marche and yellow jackets in France, a political transition in Germany and a splintering unconcerned east in Hungary and Poland; casting Europe as a “project” is revealing the associated limitations and costs that come with any project. The very nature of “Europe” a disparate collection of nation states is proving literally its undoing as politics unravel to an untidy mess of national interests. 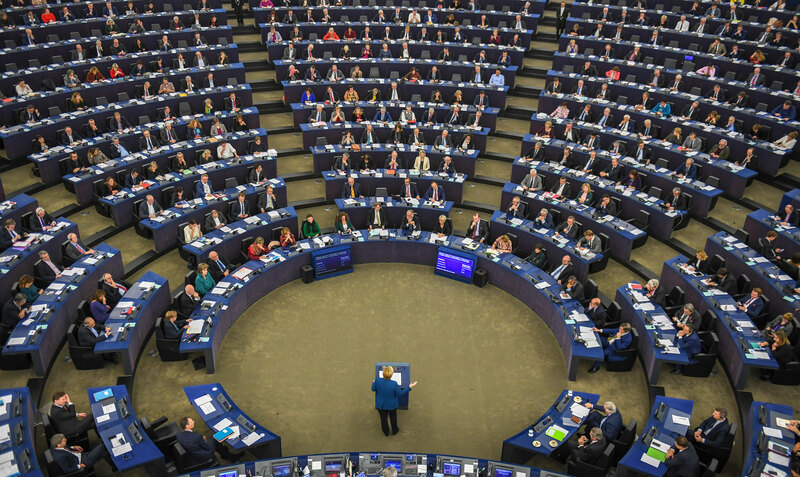 The next European Parliament looks set to fragment, with the coming European elections in May likely to see record results for populist and anti-establishment candidates. A widening gap in the centre, increasing unpredictability and constantly reforming alliances to navigate as parties are united not by everyday policies but by morals-driven stances on immigration are forcing the dynamic towards polarized, hard-line, character driven politics. When organisations (in this case the EU institutions) get into directional trouble they typically reorganise, restructure, reform – in European terms this has always been a particularly painful and constant process yet we have always felt we are moving forwards with integration a valuable outcome in its own right. Without this there seems little stomach for reform right now. European unity and community increasingly seem relevant only within the bubble or to those who remember the original purpose behind Europe and the concept of spending time reforming or on a common anything, even a single market with trade tensions high seems redundant. The very idea of a European version of the dream is hard to envision. Yet, it is precisely at this moment that we need to reinvent Europe. Turn the “project” from a distant concept to a dynamic “projection” of possibility, common future and consequence. How do we stop the democratic deficit shift to democratic deficiency and translate the strength and richness of our cultural diversity, history and thinking into diverse and meaningful representation under one roof for the everyone, migrant or middle class? Of course, no one has the answer. There is no single answer. But then that’s Europe – so how do we harness this complexity and diversity as a strength rather than a negative? How can we interest people in a common effort? Demonstrate the benefit of uniting behind something bigger? In 2019 the year of change across the institutions, economic instability and a stressed global environment, and at a time when business is recognising a wave of upcoming EU regulation, are there elements in a citizen/consumer centric approach that lend themselves to a way forward. Here are 10 imagined New Year’s Resolutions for 2019. 4. Drop conceptual theories, traditional precepts and create a new reality focused on achieving results for those currently alienated and disinterested. Create value and benefit that the individual can feel. 9. Communicate differently, smartly and directly. Confront and tackle issues openly and transparently telling people what you are doing and why. In Europe and on the world stage. 10. Give people an alternative and something positive to believe in. Imagine, innovate and inspire. Lead with humility but lead. Looking to the year ahead, wouldn’t it be wonderful to move from the missed point of a European Project under threat, currently mired and defensive, to a Europe which projects from its traditional, pragmatic spirit of compromise a common and purposeful future for all Europeans. Project – synonym: intend plan propose map out devise design outline shine a light propel imagine oneself. 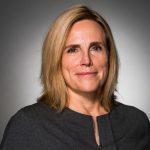 Julia Harrison is Senior Managing Director at FTI Consulting. She is a member of the Strategic Communications practice and is based in Brussels.